A beautiful design from our collection of butterfly wall stickers of 8 delicate watercolour creatures. 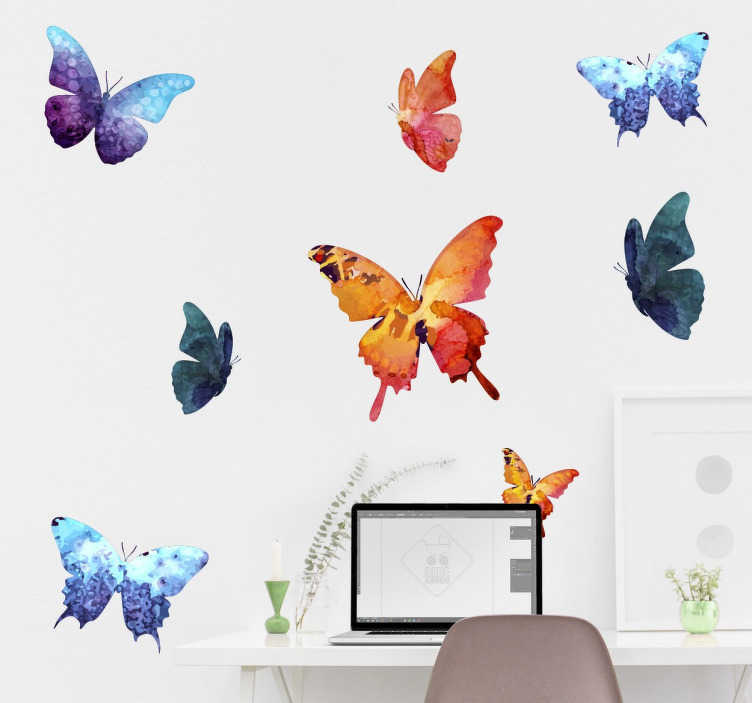 Create the impression that these colourful butterflies are flying across your wall with this great set of stickers. Ideal for adding a special touch of nature to your home. Impressive designs of these animals with beautiful patterns on their wings. Choose the size that best suits you and place on any flat surface whether it is your walls or accessories. All stickers can be placed individually. Easy to apply and remove without leaving residue.